Project Procedure: We are to create a custom tiara band like the image attached. The ring will be made with DEF Forever One Moissanite marquise stones, in sizes 6x3mm (1pc) & 5x2.5 (4pcs). The stones will be set like the photo with the same prongs. The shank of the ring will have a slight taper similar to the photo. The ring will be made in 14kt rose gold and size 5.75. --We will show this band with the 7mm Skinny Alberta e/r style in the CAD to show how they sit together. Client will go through 3D Custom Experience. 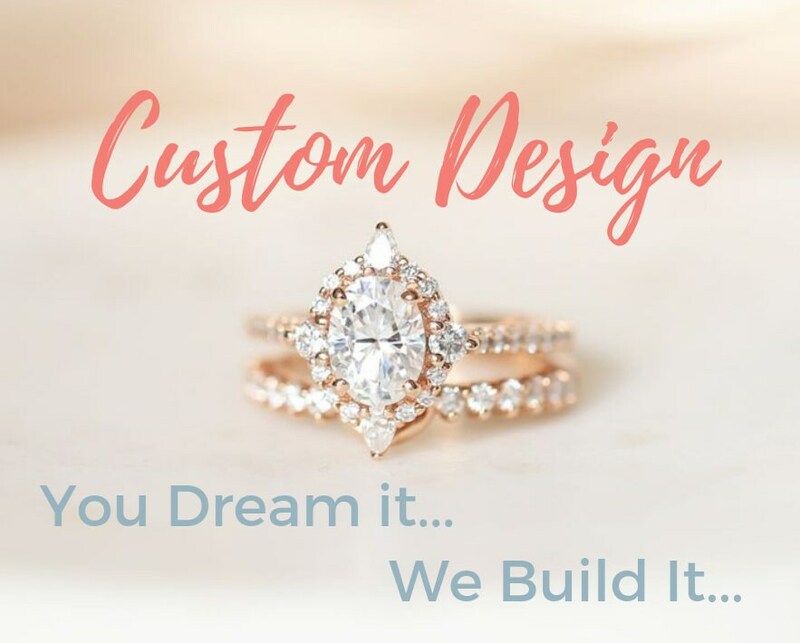 For further info on our 3D Custom Experience, warranties, policies, etc...please click here: https://www.etsy.com/shop/RosadosBox/policy?ref=shopinfo_policies_leftnav . We will ship out promptly when balance is paid in full and final photos are approved. Please allow 4-6 weeks for item to be handcrafted from scratch.